Goat and sheep’s milk vs. cow’s milk: what are the differences and benefits? What’s the big deal about other dairy alternatives to cow’s milk, such as goat and sheep’s milk? We digest the differences and benefits of each. If asked a few years ago about which milk you preferred, the answer would likely have been either skimmed, semi-skimmed, full fat, or maybe soya. Yet today there is more variety to choose from than ever before. Nut ‘mylks’ and other dairy alternatives mean cow’s milk is no longer the go-to staple it once was. 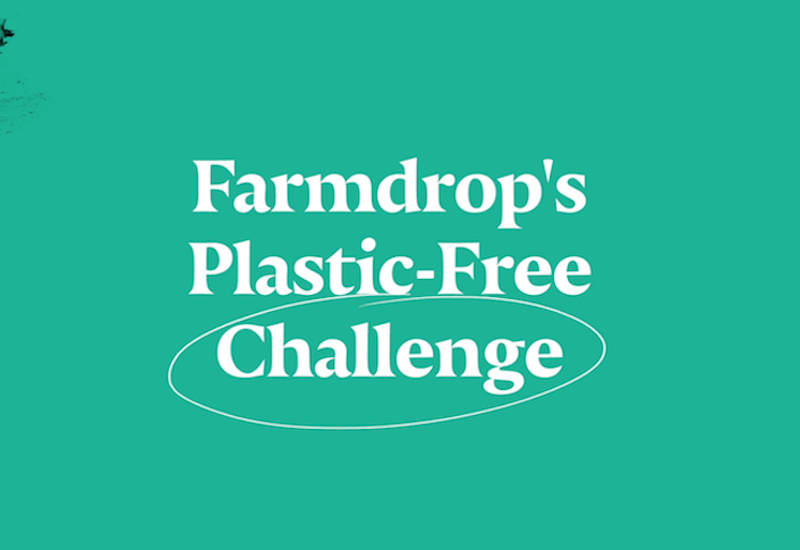 We consume 150 million litres of alternative milks a year and four out of 10 households in Britain now use an alternative to cow’s milk in drinks, cereal and cooking. Since the fifties, the amount of cow milk we consume on average has almost halved. Goat and sheep’s milk may still not be as popular as cow’s milk in the UK, however the market for dairy alternatives to cow milk has exploded. So why the change in habit? In some parts of the world, such as China, a majority of people are lactose intolerant. In Britain this number is just 5%, yet one in five of us report struggling with digestive issues after drinking cow milk. Some blame symptoms such as bloating, diarrhoea and wind on the white stuff. 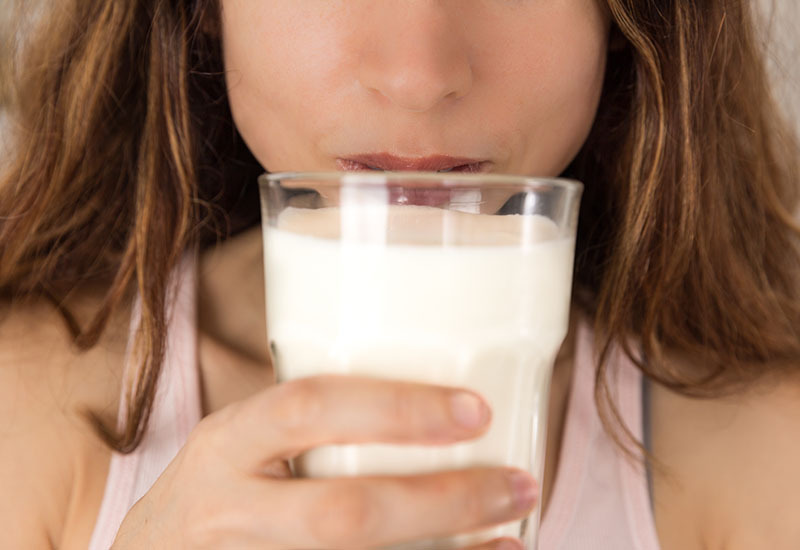 This may be down to a lactose intolerance – a common digestive problem where the body is unable to digest lactose, a type of sugar found in milk and dairy products – or a more serious allergy to dairy products. 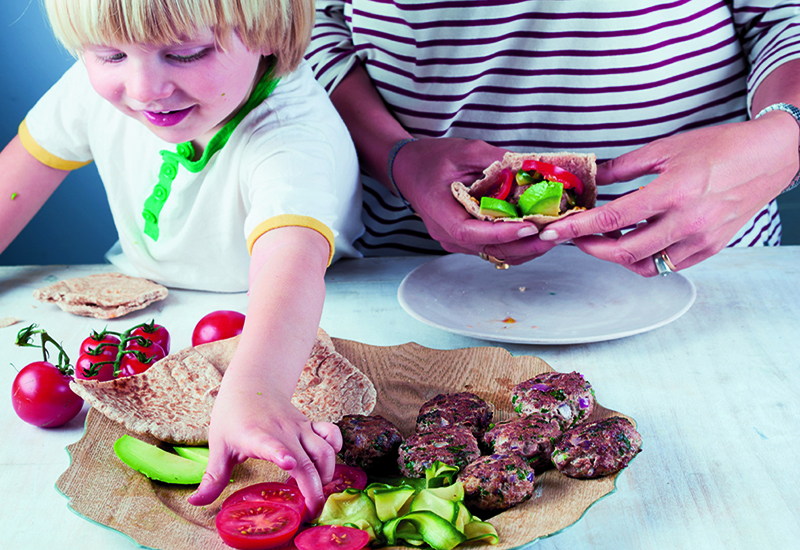 An allergy to milk is one of the most common childhood food allergies, affecting about 2-3% of infants in the UK. It should be noted that a lactose intolerance is not the same as a milk or dairy allergy. Food allergies are caused by the immune system reacting to a certain type of food and symptoms include swelling, vomiting, and, at worst, anaphylaxis. If you have an allergy, even a tiny particle could trigger a reaction, whereas most people with lactose intolerance can still consume small amounts of lactose without difficulty – although this does vary from person to person. But what if digestive problems aren’t down to lactose at all? New research has found that digestive issues may not be down to a lactose intolerance, but a type of protein found in milk called beta-casein. There are two types of the beta-casein protein found naturally occurring in European breeds of cow milk – A1 and A2. Some cows produce milk with the A1 protein and others produce milk with the A2 protein. The cows look the same and only a genetic test can tell them apart. The Holstein Friesian breed is the classic dairy cow used in cow milk production across Europe. 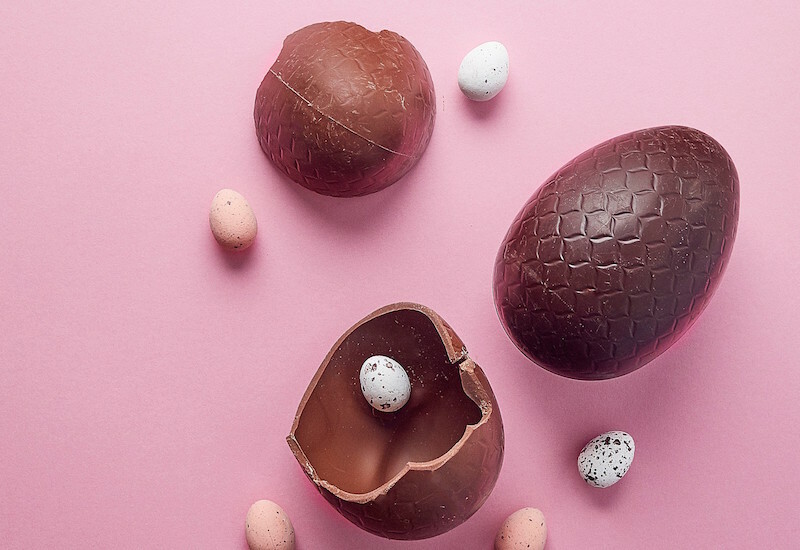 The A1 protein is being regarded as a potential cause of symptoms associated with lactose intolerance as research has discovered that these two proteins can have very different effects on people. African and Asian cattle produce milk with mainly the A2 protein, whereas the A1 protein is common in herds in the US, Australia, New Zealand and most of Europe. 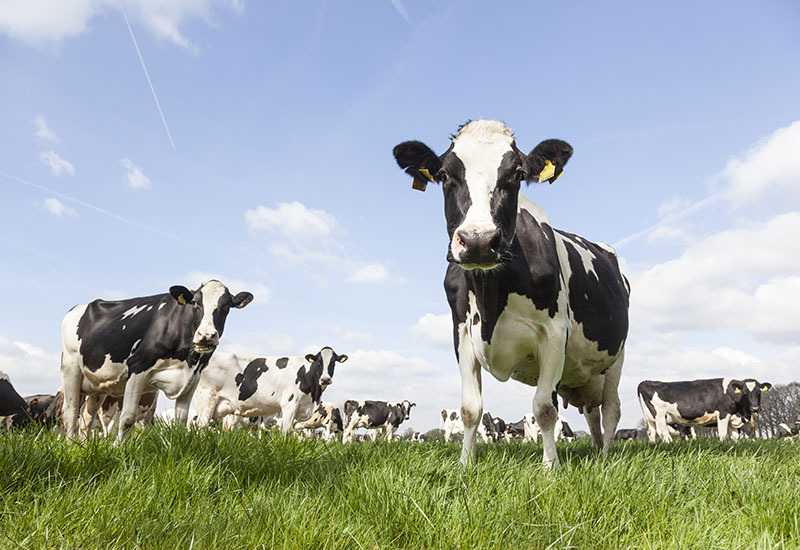 Native-breed Guernsey cows also produce milk containing 95% A2 protein, Jersey cows produce milk with 40% and there’s 15% in the ‘ordinary milk’ of the familiar black-and-white Friesian cow. Where do goat and sheep’s milk fit in? Goat and sheep’s milk (along with human breast milk) largely contain the A2 protein that many claim is more easily digested. Here’s a quick guide to their benefits and differences between them. 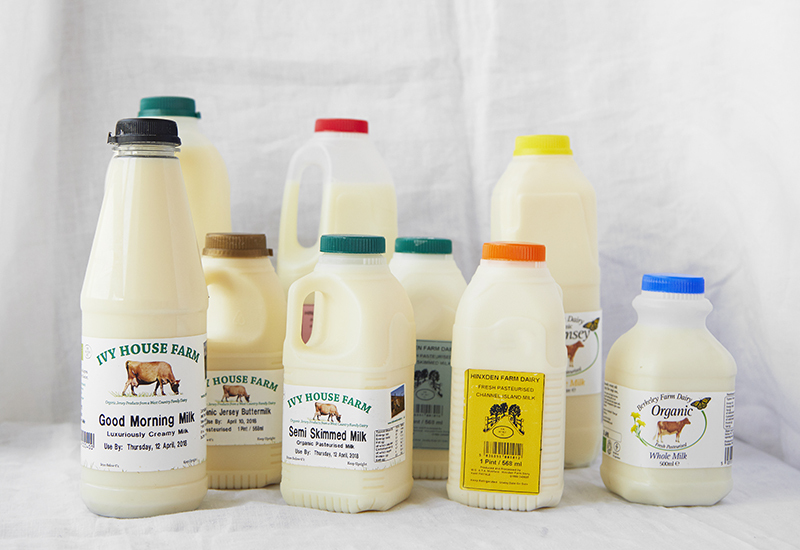 Cow’s milk can come in many shades and guises, particularly if from single herd small farms with native Guernsey or Jersey breeds. Photo: Natale Towell. A natural product, rich in protein and a source of calcium. Milk from free-range, organic and pasture-fed cows contain higher levels of healthy omega-3 fatty acids. These cows are also less likely to have been exposed to antibiotics and pesticides. The milk from a herd on a small farm differs in taste according to the breed and time of year. The milk found in your average bottle of supermarket milk on the other hand is a ‘mega blend’ of milks from across many large dairies and are processed to ensure each one is the same (a bit like the grape blend of a large-scale wine producer). Unhomogenised milk (where the fat globules haven’t been broken down in a process) means the milk’s natural cream rises to the top. A bonus if you like creamy porridge in the morning without the commitment of a full fat bottle. If not, just remember to shake before pouring for the fat to disperse throughout the bottle. Mild and creamy. If Jersey or Guernsey cow’s milk, expect a little luxurious sweetness. Cereal, hot drinks, ice cream, baking and sauces. A natural product nutritionally similar to cow’s milk. 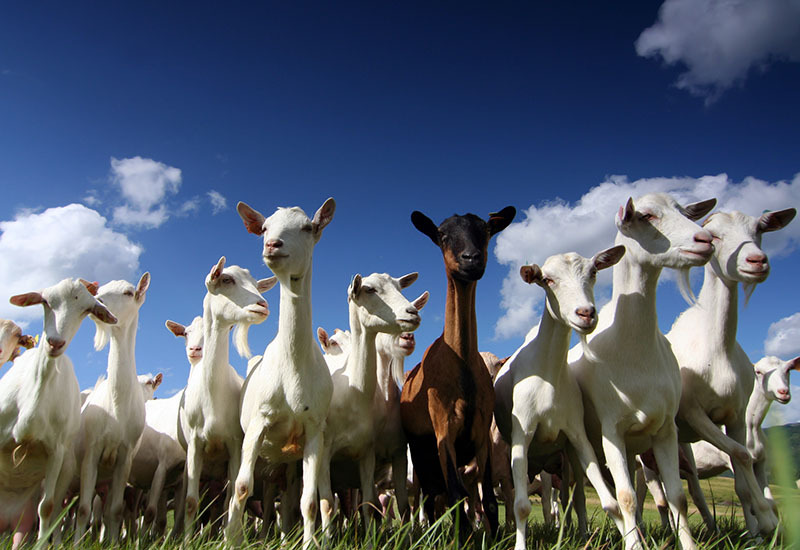 Goat’s milk contains many nutrients – such as A2 protein and oligosaccharides – which make it similar to human milk. Oligosaccharides act as prebiotics and stimulate the growth and division of beneficial probiotic bacteria in the gut. It is also naturally homogenised, meaning the cream remains within the milk and it hasn’t been processed to achieve this. Goat’s milk also has 20% smaller fat globules compared to cow’s milk and lower levels of lactose. This makes it easier to digest and a good alternative to those who are unable to tolerate cow’s milk. It contains 30-35% medium-chain fatty acids, while cow milk has only 15-20%. These fatty acids are a quick source of energy and are not stored as body fat. 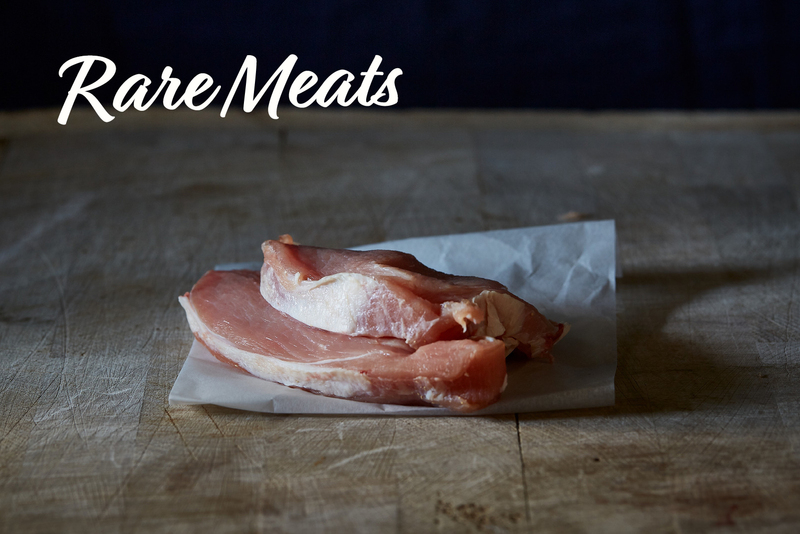 It can have a strong and distinctive flavour (you could say a little musky or farmyard-y) with a sometimes savoury or salty edge. 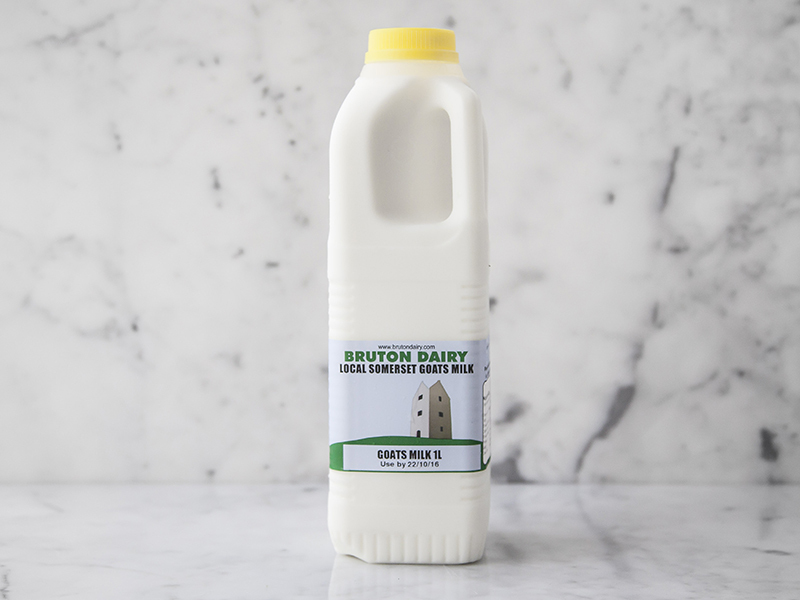 Bruton Dairy goat’s milk however is mild in flavour and almost indiscernible from cow’s milk in taste, but with a little sweetness. Tea, coffee and hot chocolate. 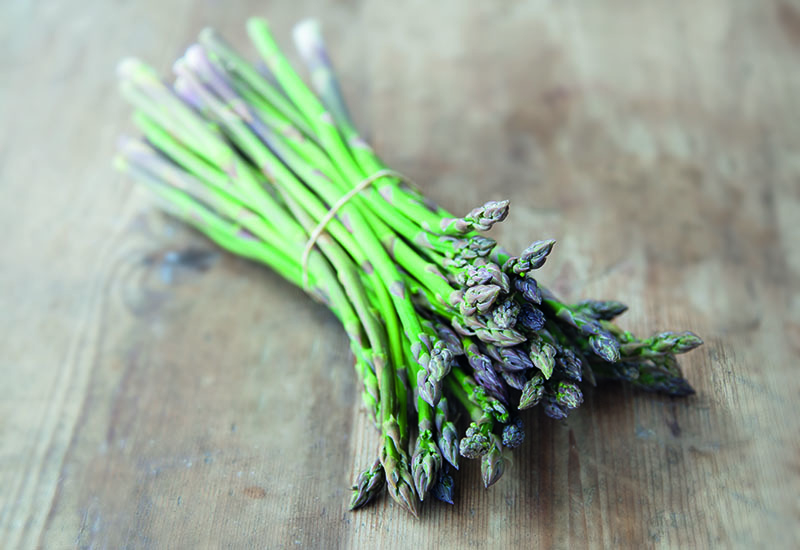 Can be used in most recipes as cow’s milk, if you don’t mind the difference in flavour. 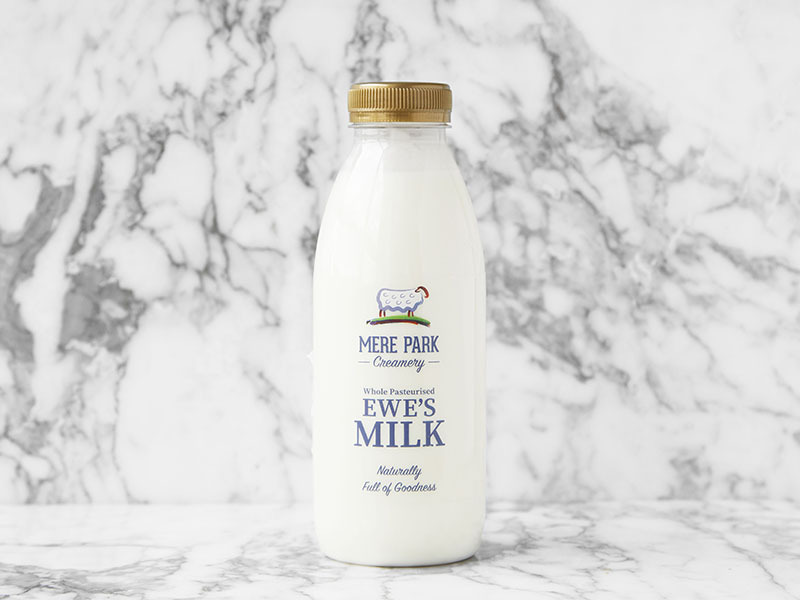 Or ewe’s milk, as Mere Park Creamery call it. Photo: Natale Towell. A natural product that’s rich in fat but has a low production due to the typical ewe producing an average of less than half a gallon of milk per day. Depending on the breed, a grass-fed cow or goat can produce 6 to 8 gallons a day. Hence why it’s sheep’s milk is difficult to find! It’s officially the creamiest milk you can get. Sheep’s milk is significantly higher in milk solids (fat and protein) and contains roughly double the amount of fat of with cow or goat milk. This makes it perfect for making cheese and yoghurt products as more cheese can be made per gallon of milk. Sheep also only need grass (rather than additional grains or supplementary feeds) to be able to produce a rich milk. Like goat’s milk, it is naturally homogenised and has smaller fat globules and more medium fatty chain acids. Sheep’s milk is also high in A2 protein, Vitamin B12 and folate. 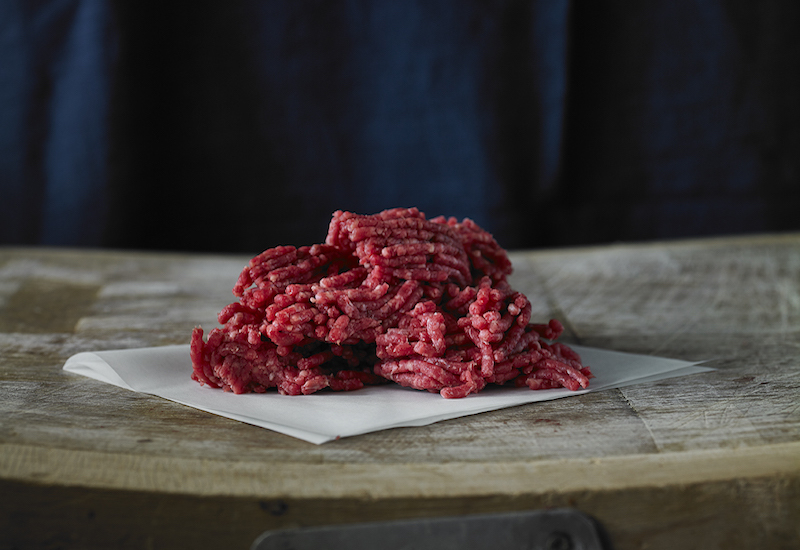 Rich and creamy with a strong and distinctive, somewhat sheep-like flavour. Perhaps too rich to drink on its own, it’s excellent in homemade cheeses, yoghurt and desserts such a panna cotta and ice cream. 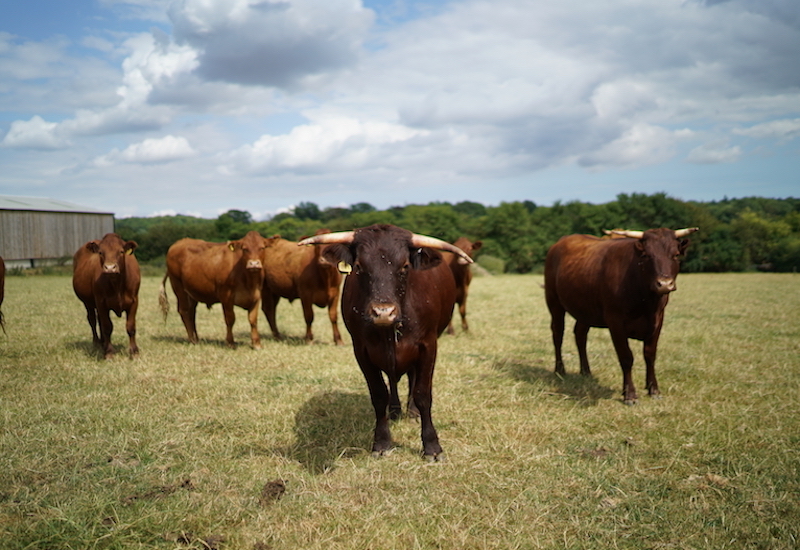 Discover how we provide a better deal for dairy farmers than anyone else and go behind the scenes at Ivy House Farm‘s organic Jersey cow dairy. Interested in DIY dairy? 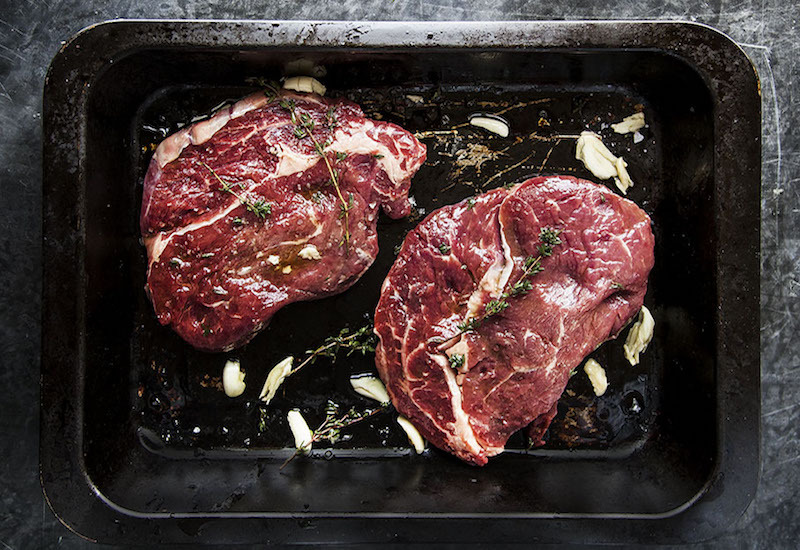 Swot up on how to make homemade butter and yoghurt in our easy step-by-step guides. Don’t miss the ultimate guide to dairy-free alternative milk you can make at home and how to make almond milk too. 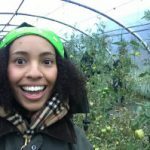 Plastic Packaging: How Much Did We Eliminate In Just 6 Weeks?